Q: Are there other contemporary painters you admire? 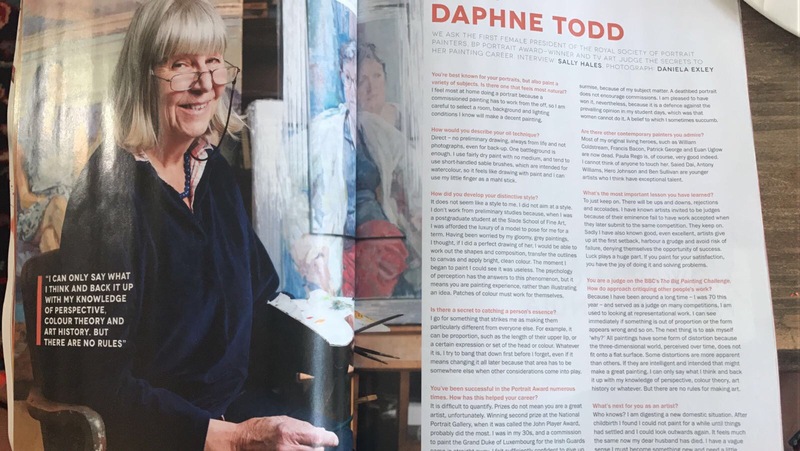 Daphne Todd: Most of my original living heroes, such as William Coldstream, Francis Bacon, Patrick George and Euan Uglow are now dead. Paula Rego is, of course, very good indeed. I cannot think of anyone to touch her. Saied Dai, Antony Williams, Hero Johnson and Ben Sullivan are younger artists who I think have exceptional talent. Q: What’s the most important lesson you have learned? Daphne Todd: To just keep on. There will be ups and downs, rejections and accolades. I have known artists invited to be judges because of their eminence fail to have work accepted when they later submit to the same competition. They keep on. Sadly I have also known good, even excellent, artists give up at the first setback, harbour a grudge and avoid risk of failure, denying themselves the opportunity of success. Luck plays a huge part. If you paint for your satisfaction, you have the joy of doing it and solving problems. 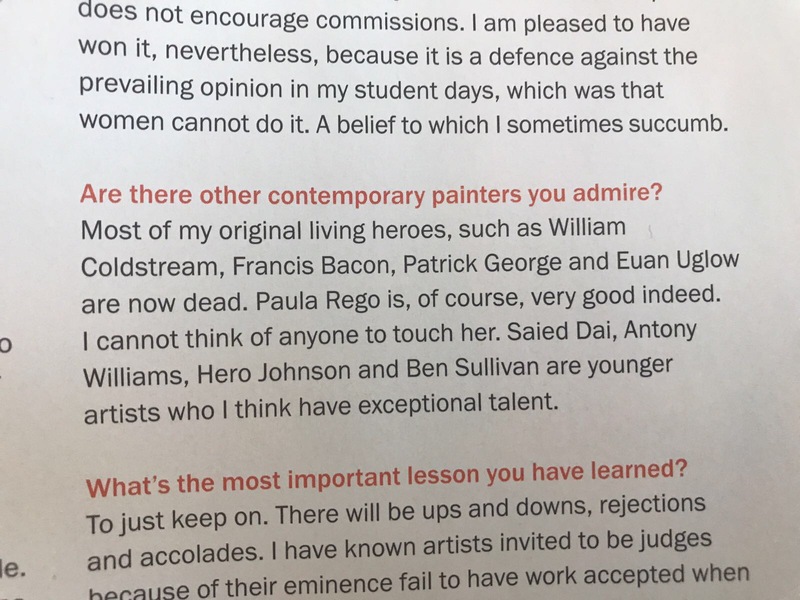 Excerpt from Artists & Illustrators magazine Summer 2017. Interview by Sally Hales.